Everything in the Louvre is worth seeing. But unless you live in Paris and visit the museum daily until the end of your days, you will never see everything. 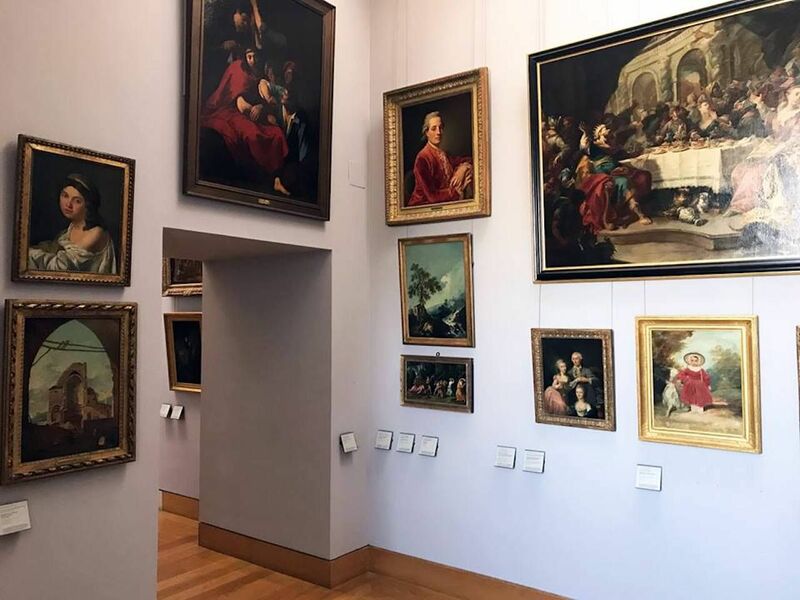 To make sure your visit is packed with heaps of amazing art that won’t bore the heck out of you, we’ve asked Louvre expert Dorian Dallongeville to give us the lowdown on how to crush this gigantic museum in one day. Dorian Dallongeville started studying Art History in high school when he was 16 years old. He made the discipline his major at the University of Nantes, France, for one year and then attended the Ecole du Louvre for four years where he graduated in 2009. The Ecole du Louvre is a higher-education establishment teaching courses in Archaeology, Epigraphy, Art History, the History of Civilisations, and Museology that is located within the museum. Dallongeville had the chance to study the pieces displayed in the museum almost daily with teachers who are the most renowned experts in their fields. Dallongeville is currently the senior curator at French Lines. 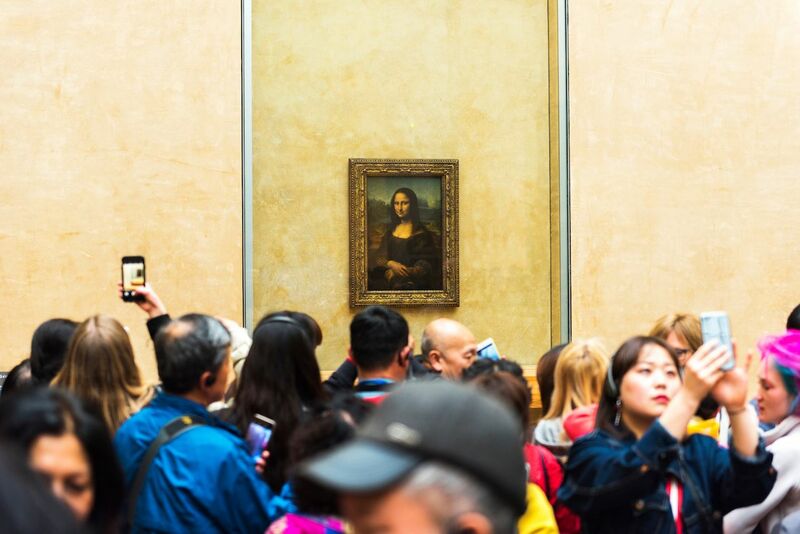 If you’d rather chance it, at least download the Affluence app, which will give you the estimated wait time at the Louvre before you make your way there from the other end of Paris. Without any hesitation, Dallongeville recommends the night visits (possible two days a week). “Go after 5:00 PM and until 9:30 PM on Wednesdays and Fridays. It will be quiet, and the atmosphere is completely different at the end of the day.” The museum closes at 9:45 PM, but the rooms are evacuated 15 minutes prior to closing. Dallongeville also suggests that you avoid any school holidays, weekends, or peak summer times. “A dark Wednesday evening in early November is the best time, but if you’re in Paris during the summer months, just make sure you’re visiting the museum on a Wednesday night.” Check out the hours of operation and plan as best as you can. You’ll be provided with some great information, but unlike getting an audio guide, you’ll be able to ask experts questions, which is invaluable. Book guided tours online to make sure you have a spot. Dallongeville is unequivocal: you must start with the Louvre’s origins. Before being the amazing museum that it is, the Louvre was a castle, home to the kings of France. The well-preserved vestige of that castle can be seen in an underground chamber called the Pavillon de l’Horloge (room 130 on your map). The remains of the castle, as well as countless artifacts, were found in the 1980s when the Louvre was extensively renovated. 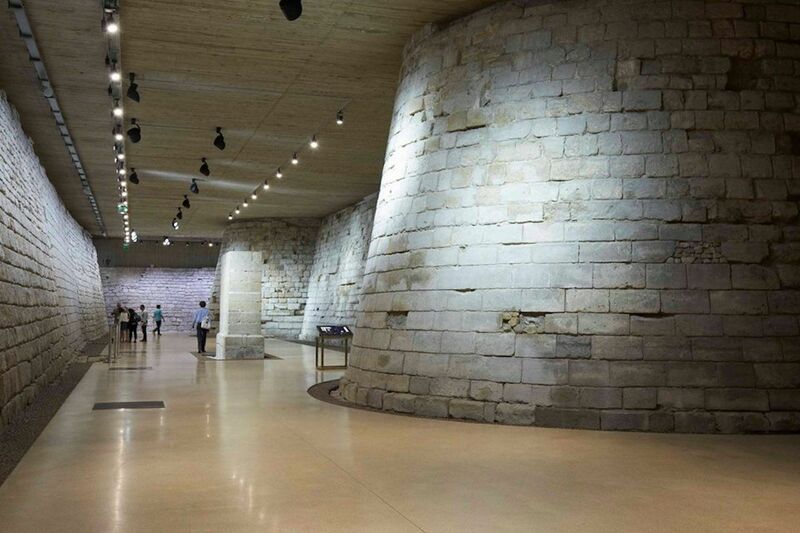 In that part of the museum, visitors will find a model castle to help them visualize what the Louvre looked like back in the 12th century when it was built. You’ll be walking where the moats used to be, at the foot of the immense medieval structure. Checking out those remains is a great way to dive into the history of the museum before you actually walk its corridors and look at the art pieces it houses. And because it is an underrated area of the museum, you’ll get some peace and quiet. Dallongeville recommends that you don’t only focus on paintings but rather try to see a variety of art pieces. “When you’re not an expert, staring at too many two-dimensional paintings can get very weary, so make sure you also check out three-dimensional objects so as not to get bored. There are thousands of pieces of furniture, decorative objects, tapestries, sculptures, etc. that will keep you alert and interested.” With this in mind, here are Dallongeville’s top recommendations. The Mona Lisa is the most famous art piece in the museum, so it’s hard to set foot in the Louvre without feeling the need to check it out. Dallongeville says that people run from the entry of the museum to get to the Mona Lisa first. “Visitors are obsessed with this painting,” he explains, “and it’s got less to do with the beauty of the technique or the subject than with its thrilling story.” Indeed, Dallongeville explains that it’s the aura of mystery that envelops this small 16th-century painting that draws the large crowds. The identity of the woman depicted is unknown, her smile is famously enigmatic, and Leonardo Da Vinci himself brought the painting to France in 1515 though no one understands how it ended up in the hands of the French royalty. But what really made, and still makes, this painting extraordinary is the fact that it was stolen in 1911 to be recovered only two years later. And, of course, Dan Brown’s Da Vinci Code did not help to contain the hype. Also a very famous piece, this Greek antiquity is monumental in both size and beauty. Located at the top of a set of stairs leading to level one (home of the Mona Lisa), you couldn’t miss this piece even if you tried. 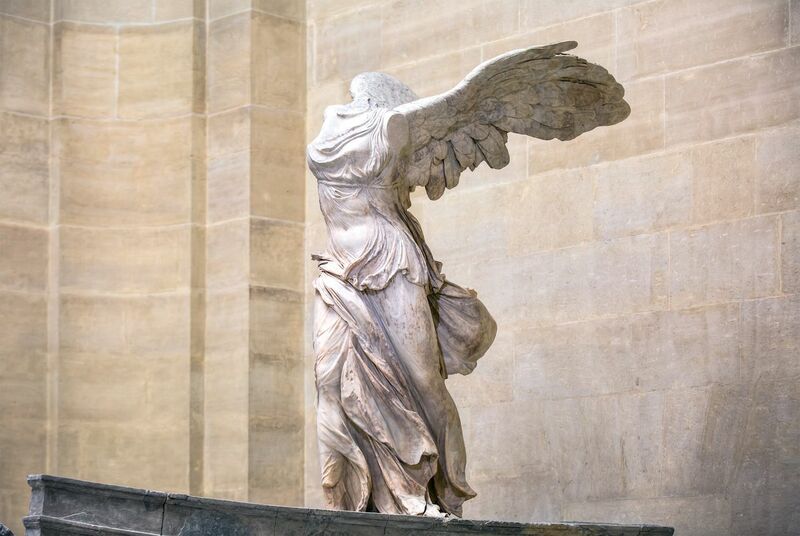 The Winged Victory of Samothrace represents the Greek goddess of victory, Nike, with wings, standing on the bow of a ship — a pedestal that makes it stand out even more. The incredible details on the wings, the drapery of the goddess’s tunic, and the effect of transparency of the garment are stunning. The marble monument dates back from 190 BC and was discovered and transported from the island of Samothrace to France during the second half of the 19th century, so the goddess is missing her head, but the rest of her is so gorgeous that you barely notice. During and after the French Revolution in 1789, most of the royal treasure was either destroyed (sometimes melted) or stolen. 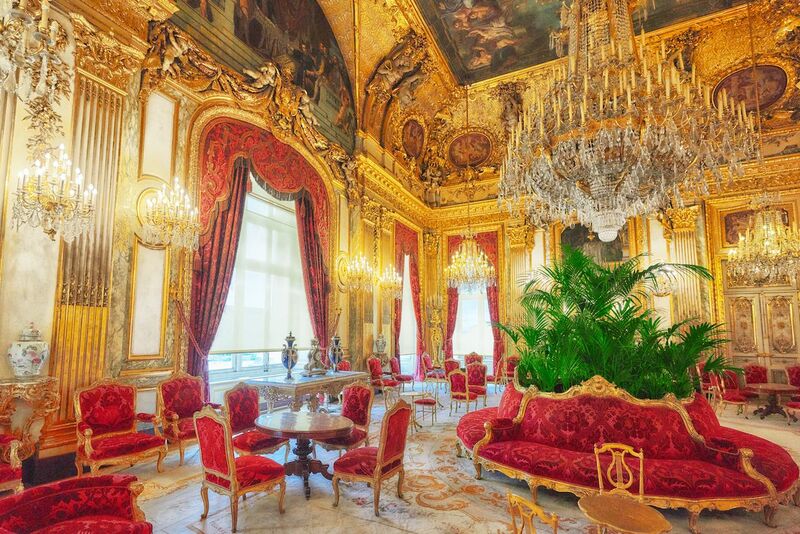 What little is left of that treasure carries great historical value as it is a concrete record of the French monarchy, so if you want to learn a bit more about the history of France while on your visit, this is the perfect stop. 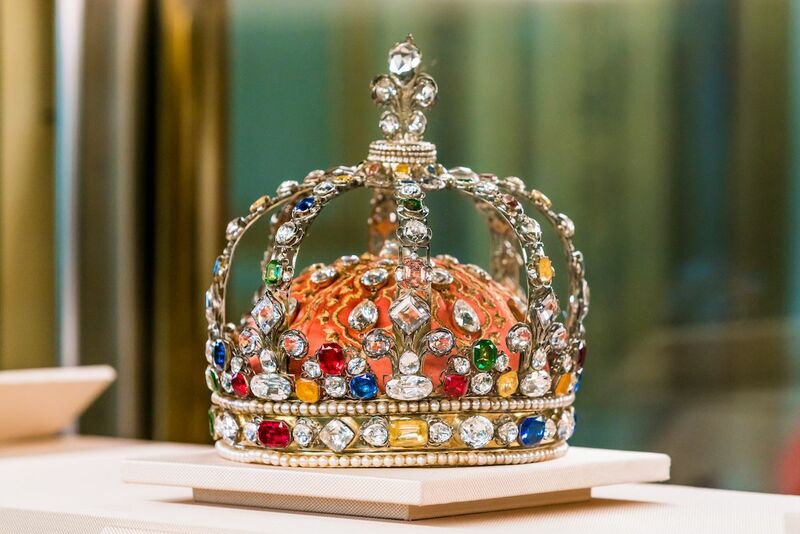 The crown of Louis XV was commissioned by the king and worn during his coronation. The superb 1722 piece is made of silver and silk and decorated with pearls and precious stones. The crown part of the Decorative Arts Department (colored purple on your map) is on level one in a room so incredibly beautiful that you need to check it out, even if you’re not interested in the crown. Dallongeville goes as far as to say that the room, named the Apollo Galerie, is “like a mini version of Versailles’ Hall of Mirrors.” Enough said. Located in the Near Eastern Antiquities section of the museum (colored yellow on the map), the two identical pieces are 13 feet tall and 13 feet wide, and each was carved from a single block of alabaster. 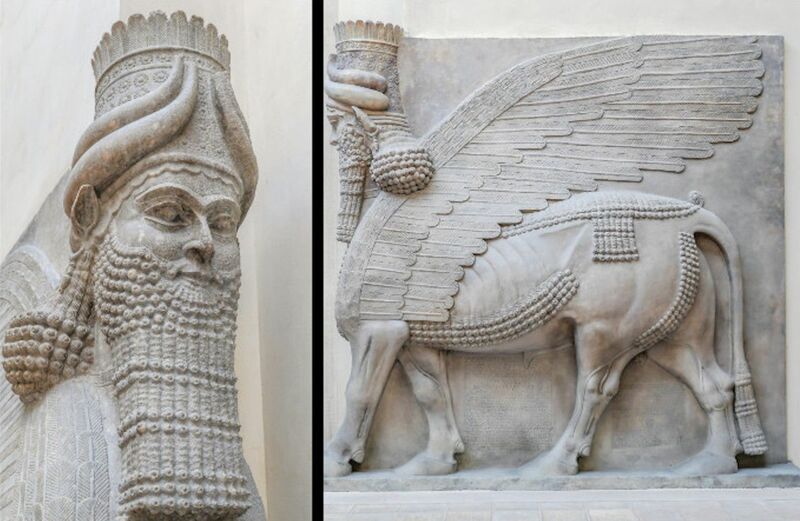 According to the details provided by the museum, the Winged human-headed bulls were “protective genies called shedu or lamassu and were placed as guardians at certain gates and doorways around the city and palace.” The details on the pieces are astonishing; just take a look at the creatures’ beards and wings. And if you look even closer, you’ll notice that each of them has five legs, not four. Each piece has two legs visible from the front, but when you look at each of them from the side, you’ll see four legs, including one that is not visible from the front. The pieces date back to around 721-705 BC and come from modern-day Iraq. This hammered brass basin located in the Islamic Art section (colored turquoise on the map) was created in Egypt between 1320 and 1340. 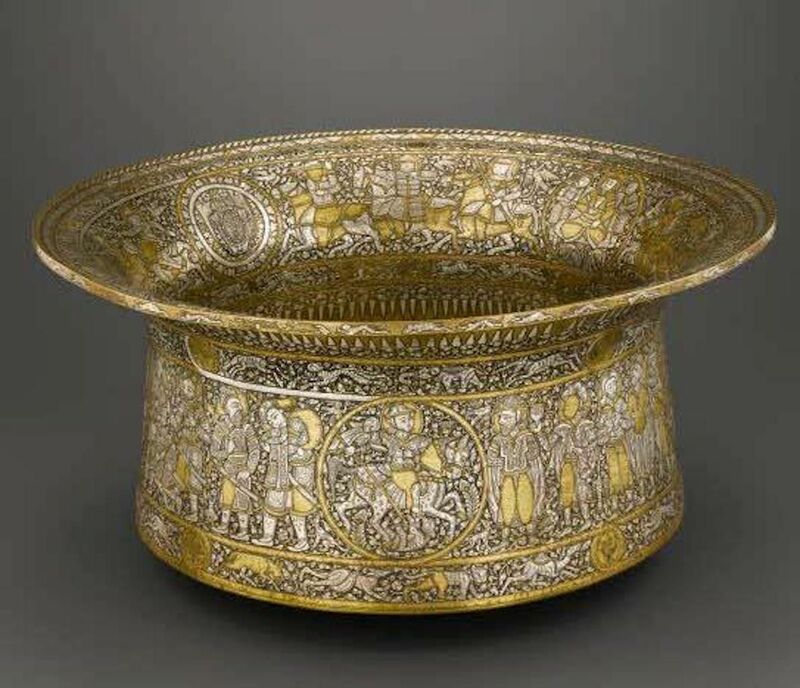 The basin, called Le baptistère de Saint Louis, is intricately decorated with gold, silver, and niello (a black paste), and it’s one of the greatest pieces of Islamic art ever created. On its own, it would be a must-see, but because it was also used to baptize French royalty’s children for centuries, it’s even more valuable. If you want to have fun, Hieronymous Bosch’s paintings are your best bet. There is only one piece of his in the Louvre, and it’s also the only piece in France, so although it’s a small one, take the time to look at it closely. Like all his pieces, this one pertains to a satirical and fantastical genre and is filled with many strange characters doing very strange things. Very little is known about the artist or the actual meaning of the thousands of symbols hidden in his paintings, but they are packed with amusing details that visitors will appreciate. For this painting, Dallongeville recommends that you use an audio guide. The Ship of Fools is a Dutch painting and therefore located on the second level in the Richelieu Wing with the Northern European paintings. The Seasons is a series of four paintings created by Giuseppe Arcimboldo in 1563. The paintings are portraits made with a combination of plants, fruits, and vegetables associated with each season. All four pieces are incredibly detailed, colorful, and fun to observe. And you don’t need a great deal of knowledge about the technique or the historical context to enjoy them. The Italian paintings are displayed in the Denon Wing on the first floor in room 712. Note that you’re not guaranteed to see all four portraits as some of them are sometimes lent out to other museums. The photo above shows Summer (left) and Spring (right). 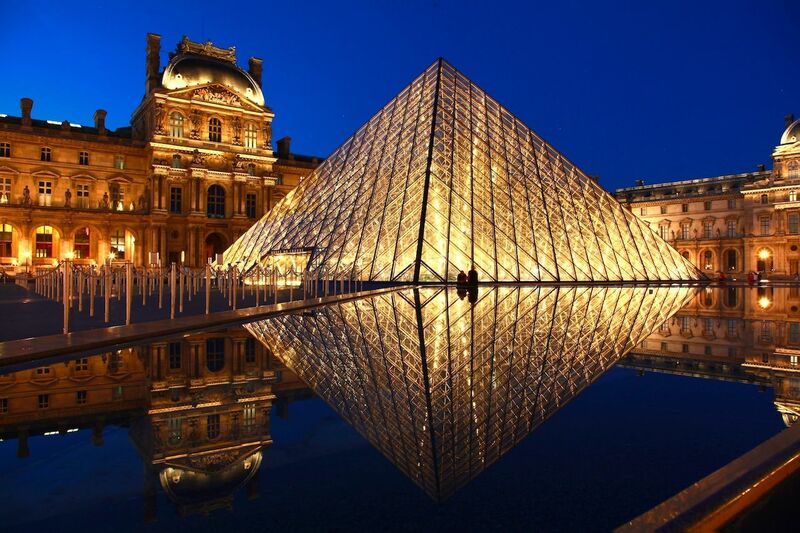 Dallongeville recommends that visitors coming from abroad use their visit to the Louvre as an opportunity to learn more about the history of France. And to do that, he suggests that they check out his favorite Louvre piece. Displayed in the Decorative Arts section (colored purple on the map), the Sceptre of Charles V is a remarkable feat of goldsmithing and carving. The piece is extravagant, decorated with pearls and precious stones, and the details are superb. Created during the second half of the 14th century, the scepter had been used by all the kings of France until the French Revolution, i.e. for almost 500 years. Therefore, it is an incredible record of the beauty of the royal treasure before it was dismantled during the Revolution. Although gorgeous, the Cabinet of Prints and Drawings (level one, Sully Wing) can be monotonous. As was previously explained, two-dimensional art pieces, especially the ones that are bi-chrome, like drawings, may not hold the attention and interest of visitors without any knowledge of these disciplines. The many rooms devoted to paintings (rooms colored red on your map) can also become overwhelming. Select one or two, or, if you’re organized, select a few pieces that you want to see in each room. It will be easier to spend a full day in the Louvre if you’re not bored out of your wits after visiting several enormous rooms filled with paintings you have no context for and very little knowledge about. The Decorative Arts Department (rooms colored purple on your map) is very appealing. It’s filled with bright and colorful objects whose spectacular beauty you can enjoy without needing a lot of context. The variety of the objects displayed (jewels, furniture, etc.) also prevents museum fatigue. The rooms themselves are stunning, especially the Apollo Galerie and Napoleon III Apartments (which is completely underrated by visitors). The Egyptian Antiquities sections of the museum (colored light green on the map) are fascinating. You’ll get an idea of what daily life in Ancient Egypt was like and be wowed by the beauty of the artifacts displayed. The pieces are bright, unusual, and far from monotonous. Before WWII broke out, many of the pieces in the museum were sent away from Paris to the countryside to keep them safe from possible bombardments; in August 1939, the Mona Lisa was evacuated. Soon after, The Winged Victory of Samothrace and other precious pieces followed suit. But during the occupation of France, the German authorities reopened the museum, despite it being nearly empty. They commandeered several rooms in the museum to stock art pieces stolen from French Jewish families and art merchants before sending them to Germany. The Louvre reopened entirely between 1945 and 1947, and all the art pieces that had been evacuated returned to the museum in one piece. 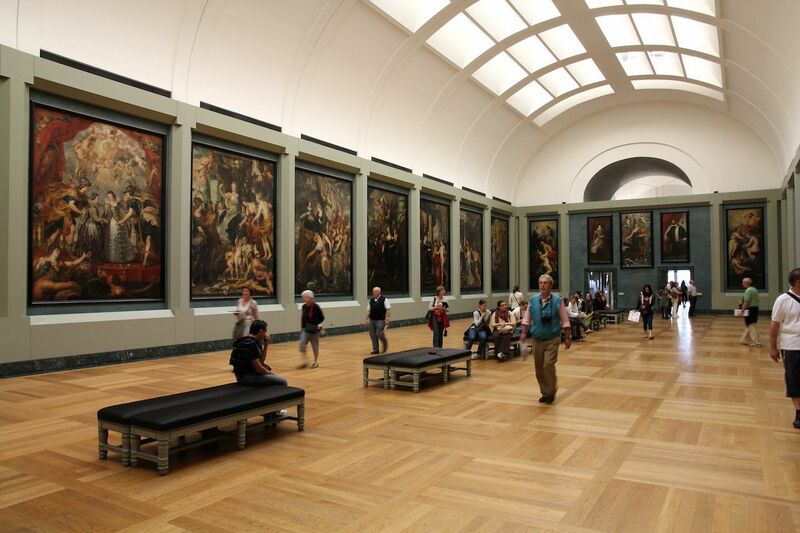 To this day, the Louvre still owns 1,752 art pieces that were looted under the Nazi regime, including 807 paintings. All these pieces are marked “MNR” (National Museums of Recovered artworks), but only a few of them are displayed in the Louvre. (Many are in other French museums). 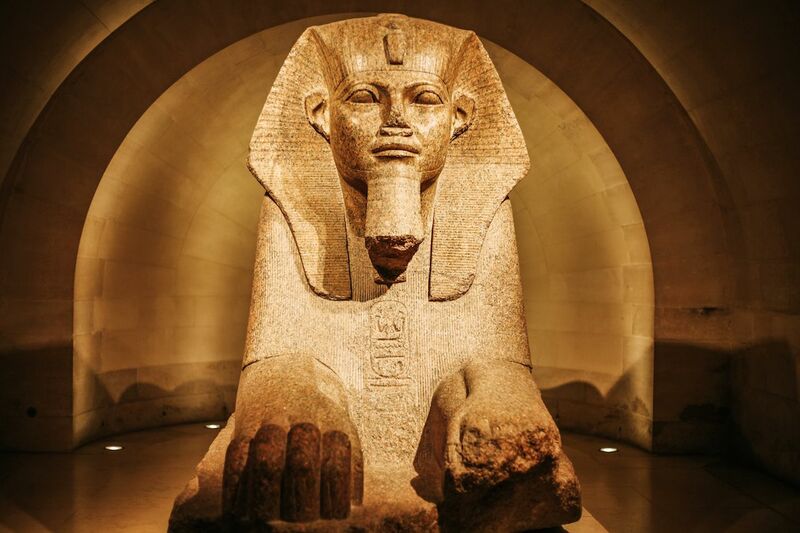 Since 1951, the French government and the Louvre work tirelessly to restitute these art pieces to their rightful owners, and more than 50 painting have been given back to the families of the dispossessed. A catalog of the MNR pieces is available here.